Between the cost of the system, its memory cards and games, Vita may not stand a chance. As a future PlayStation Vita owner, I've grown increasingly concerned that Sony's new machine, or at least the money involved in owning one, favors the rich. During the company's press conference this past June, execs happily announced the $249.99 price point for the Wi-Fi only model ($299.99 for Wi-Fi plus 3G), and at the time, it was a bargain compared to Nintendo's 3DS, which also retailed for $249.99. 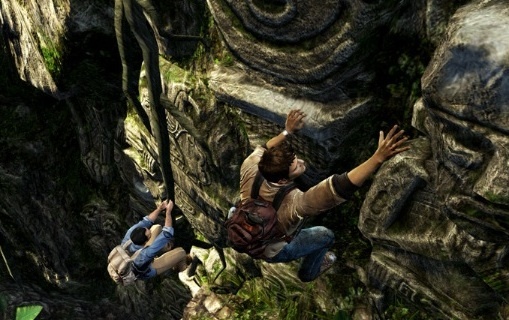 Uncharted: Golden Abyss- Worth spending almost $300? It seemed like Sony had a distinct advantage, with near PlayStation 3 quality graphics for the same price as the clearly outmatched 3DS. That changed the moment the big N slashed the price of its handheld in August to a more reasonable $169.99 without nixing features. Consumers still receive the 2GB SD card and bonus games Find Mii and Face Raiders, by no means serious time wasters, but welcome additions given the cost. In fact, Nintendo just started selling three 3DS bundles in the U.S. that retail for $199.99 and come with one of three high profile games: Super Mario 3D Land, The Legend of Zelda: Ocarina of Time 3D or (to a lesser degree) Nintendogs + Cats. Knowing this, I can't help but look back at PlayStation Vita and then consider my wallet, as in the beating it's about to take. Not only must I shell out the dough for the machine, but at least $24.99 for the 4GB memory card, which is a fairly useless amount of storage, given the size of today's games. That means picking up the 8GB at $39.99. I still don't have a game. Speaking of games, Sony has yet to announce official pricing, but there's little reason to think they won't cost lower than $29.99 and that's a very generous estimate. More like $39.99 and perhaps higher. Keep in mind the launch lineup looks great so far. Uncharted is the number one title to buy, but I'm sure third parties will contribute some potential hits. I'll leave the store with at least three titles for $120 spent on software alone. With this in mind, you cannot ignore the fact that for many consumers, it'll be a $500 or more day. Five hundred bucks to enjoy the best PlayStation Vita has to offer, when you could do the same with 3DS for about $250. Picking up an iPod Touch? That'll run $199 for the device, then $10-$30 for a bunch of quality games. Want a PlayStation 3? That costs $249.99 and you get 160GB worth of storage. Spend a little more ($299.99), and you get Uncharted 3 and 320GB. Don't get me wrong. Vita's probably worth the money given its sheer power. At the same time, I'm wondering if the machine can realistically compete, given the rapidly changing portable marketplace. Sony tried the "we have the most powerful system" in 2004 with PSP and it worked well, but that was several years ago; PSP lost to DS by a considerable margin. How will consumers react today with iPhones and Droids in their pockets? On that note, don't be surprised to see a PlayStation Vita price drop summer 2012.